Develop a New Career in Aesthetics. 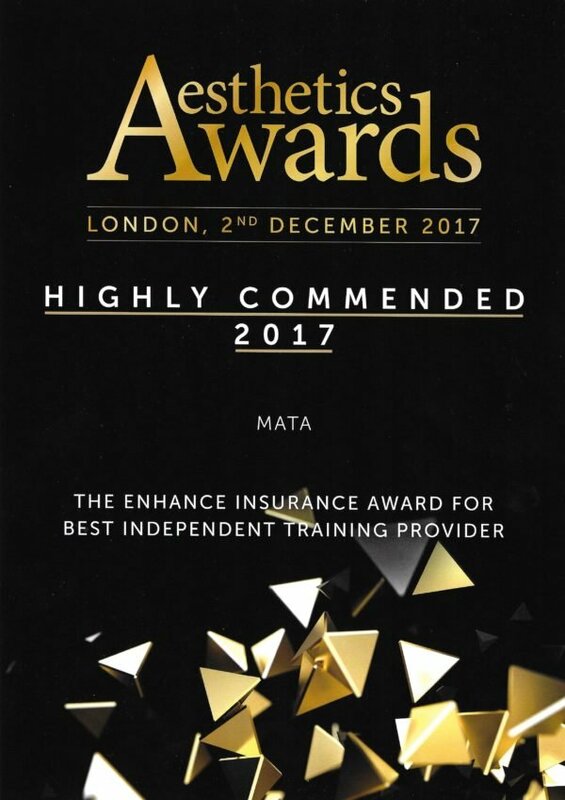 For training outside of central London, MATA holds its training courses in Maidenhead, Berkshire (about 45 minutes west of London). 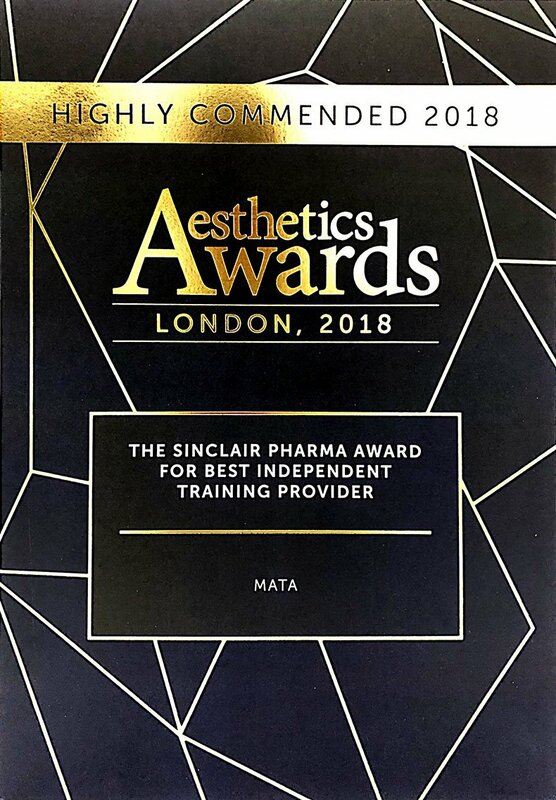 Set in the semi-rural outskirts of the town and on the way to the quaint village of Cookham, this location for the many different MATA courses is conducive to well-focused and appropriate learning at the offices of Cynosure – the UK’s laser specialists for aesthetic treatments. BOTOX® training. This course, aimed at doctors, nurses and dentists will take you to industry-recognised qualification Level 7. The course begins with the online resource portal which is highly effective and interactive, ending with a full demonstration and practical training at the center in Maidenhead. MATA is committed above and beyond the HEE 2016 Guidelines. We believe that once the foundation of knowledge about BOTOX training is accomplished it is essential to gather as much practical application as possible. Starting with cadaveric materials then moving on to real patients, we can be sure that we are addressing long term patient safety. Reliable results will be achieved from this approach and so we encourage our delegates to get fully involved in order to attain the certification. A full and comprehensive understanding of Facial Anatomy is the foundation for these courses at MATA. Delegates must learn this before progressing on to other areas. Also at the Foundation Level delegate are taught the importance of patient assessment, health history, and safety techniques. Dermal Fillers are used in many parts of the face, so once these factors have been fully understood, the trainee can move on to learning applications to each area. The Advanced Level for healthcare professionals concentrates on enhancement benefits of Dermal Fillers such as reshaping skills for chin and cheekbones. Both courses lead to Level 7 Industry Qualification (IQ). If you are considering BOTOX® training, it is ideal to combine the two subjects into a 2-day course. Set between the town centre of Maidenhead and the village of Cookham, The centre for MATA’s West London training courses can be found at The Old Barn Offices, Lower Mount Farm, Long Lane, Maidenhead, SL6 9EE. From the town centre and train station the venue is just a 5-minute drive – so a short taxi ride, and there are always plenty of taxis at the station. If you are traveling by car you are best choosing the M4. Take junction 8/9 and exit at the 308M. Follow this to the roundabout taking the first exit. This leads to the Braywick Road. After the next roundabout takes the 2nd exit the station will be on your left. Follow the road (Frascati Way) around until you come to another roundabout – take the 3rd Exit (Bad Godesburg Way). At the next roundabout 1st Exit B4447 (Cookham Road). Stay on this road for a few miles, and once you’ve passed the sharp left bend you will come to a mini roundabout. Turn right here (Switchback Road North). For about 1/3 mile (after Nightingale Lane on left) Malders Lane is next on your left (signposted for Copas Farms). Cynosure is the building owner. If you are planning a two-day course, or if you are traveling some distance, there is a good choice of accommodation. There are two affordable hotels in Maidenhead town centre: A Travelodge is immediately opposite the train station and there is a Premier Inn just a short walk from the station. However, neither of these offer very much parking. If you are traveling by car it is probably better to consider the Holiday Inn which is a short drive from the M4 motorway and railway station. Exit at Junction 9A and follow Shoppenhangers Road – signposted to the hotel. Two nice spots to consider just out of the town centre on the A4 and immediately on the River Thames are http://thameshotel.co.uk/ and Thames Riviera Hotel. If you really want to make the most of your time in the area you could visit Windsor and its historical home of the Her Majesty Queen Elizabeth! There is on site accommodation which offers a small amount of rooms and is exclusive but this would make a two day course very easy and comfortable. View the site. Alternatively you can opt for accommodation in central Burnley which is very close by, have a look at the Keirby Park Hotel. There is also the Holiday Inn Express near Junction 10 of the M65. For a general or wider search in the area view TripAdvisor.